The past one month has been an uphill battle for little Sparsh and his terrified parents, Ankit and Pooja. Ankit him took him from one hospital to another, desperately looking for answers about their baby’s condition, but returned with nothing, more helpless than ever. 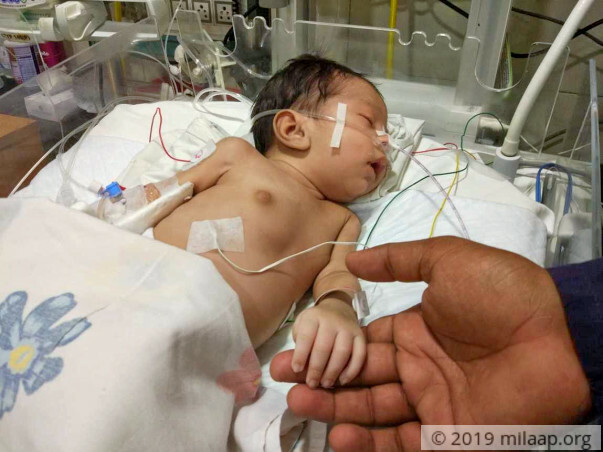 When they did find out, it was their worst nightmare coming true – their baby not only has a hole in his heart but a heart disease that was also affecting his lungs, making it difficult for him to breathe. 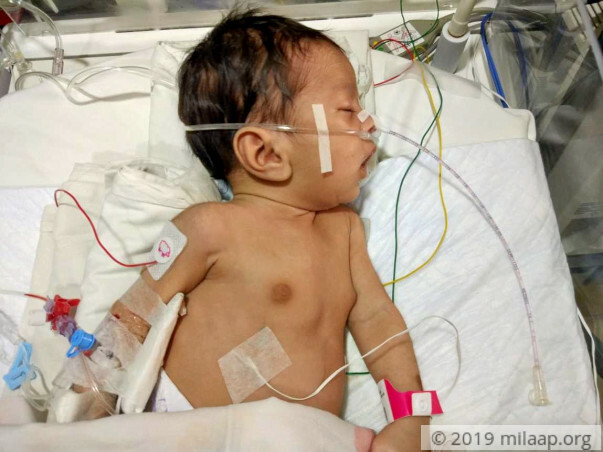 It’s been 10 days since Sparsh has been in the NICU on ventilator support. He can’t survive without breathing assistance and the only thing that can save him now is an urgent heart surgery. Baby Sparsh needs the surgery tomorrow, but Ankit is struggling to find the means to afford 5 lakhs for it. Ankit, a farmer, has used all his savings on his treatment so far and has no one to turn to for help. 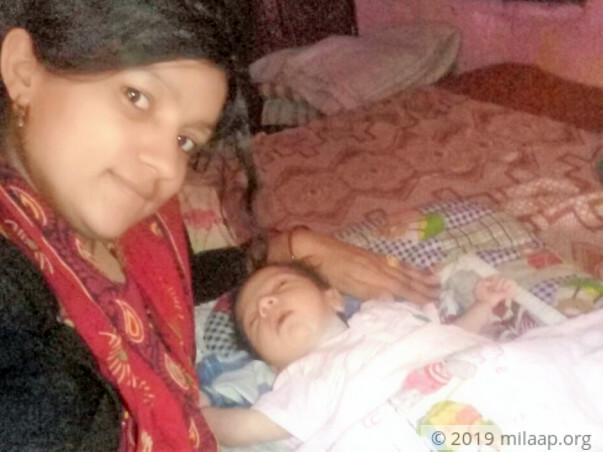 Baby Sparsh’s hasn’t known anything but pain. Only you can help give him a healthy future. 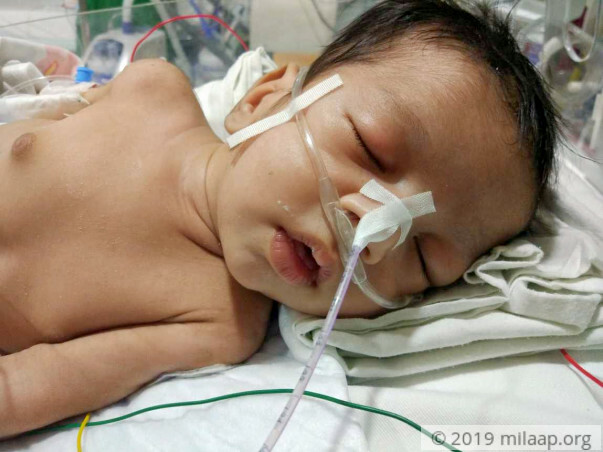 Your contribution will save baby Sparsh’s life. 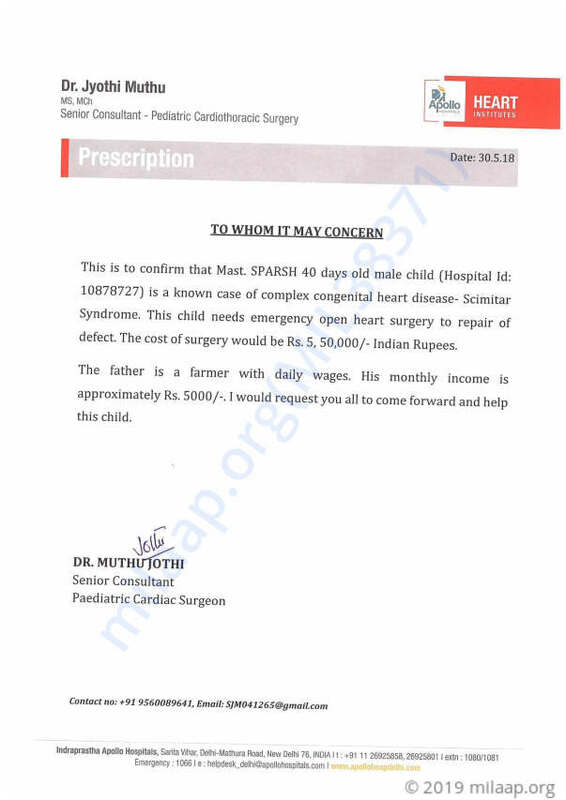 Sparsh is still in the hospital on medical management. We will keep you posted on his progress. thank you for your support. 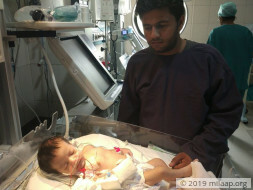 Sparsh is still in the ICU. He is on minimal ventilator support. 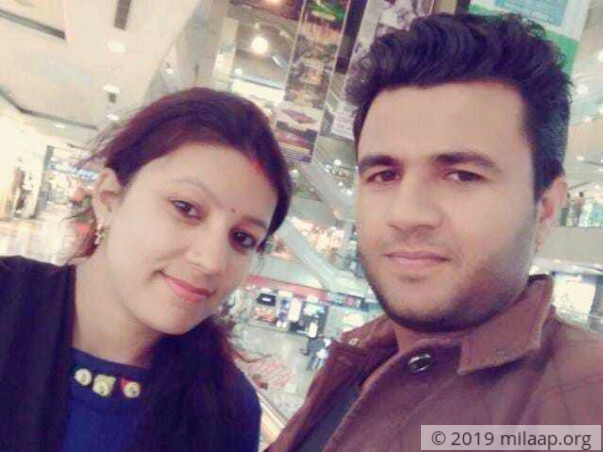 He may take another week to 10 days before he can be relieved from the ICU. He is conscious and can make movements but he is unable to breathe on his own. Doctors are observing him closely. We shall keep you all posted, thank you so much for the support which you have shown towards him.